In his teens Royce Scarlett was a bit of a tearaway, regularly in trouble with the law. But he was also devoted to his mum, who stuck by him through thick and thin. When matters came to a head and Royce was sent to prison for drug dealing, he began to see the error of his ways and was well on the path to becoming a responsible young adult. But Royce never had the chance. While he was in prison he developed a rare cancer, and he died at the age of just 22. 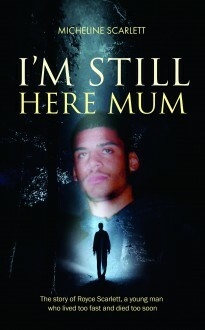 This is Royce’s tragic and moving story, by his mother.